This modern home in Clonbonny, Athlone, consists of a well-proportioned four-bedroom detached bungalow on a private site measuring 0.54 acres. 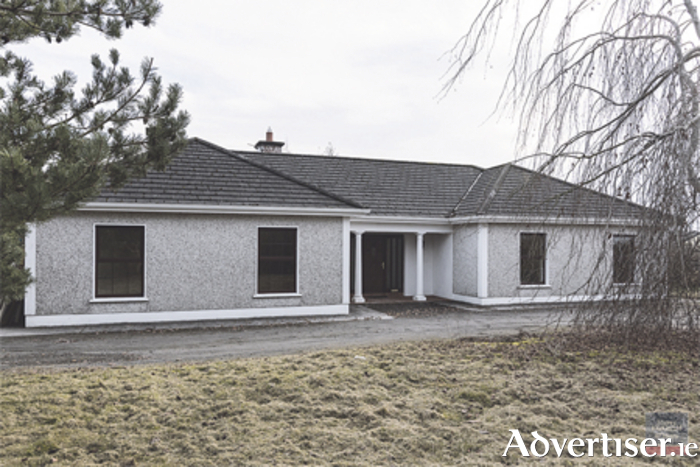 The property is located in a popular residential area that is just a five minute drive from the town centre and is just off the R446 Athlone/Moate Road. The property is also situated immediately adjacent to the local primary school at Clonbonny. This is the perfect family home with loads of opportunity for its new owners to put their own personal stamp on it. The home offers four bedrooms, central heating, attractive decor, gardens, and a detached garage and storage shed. The property is approximately 154.2 square metres with a BER E1 energy rating. For more information or to book a viewing call agent Ollie Moore on (086 ) 8595186.